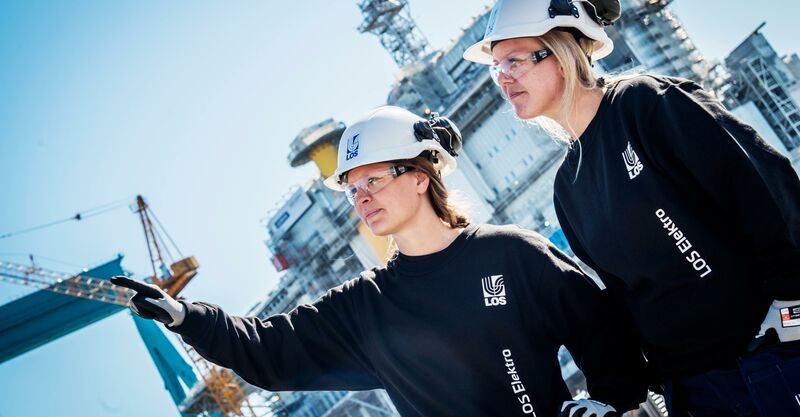 Our company LOS Marine serves the shipping market from Rubbestadneset in Bømlo. Ship service constitutes a significant part of the LOS Group business. The group focuses on the future with the DOCK Express project, a major development and optimal shipping service with the most modern facilities in Northern Europe. A new dock in Rubbestadneset is set to be completed in 2021, and will have the capacity to receive the biggest ships currently sailing along the coast. LOS Elektro has its own marine and offshore department specially equipped for maritime assignments. For decades we have had a great deal of activity geared towards the shipping and oil sector. Also in this area we have experienced people with all the necessary certificates. Our interdisciplinary expertise in the shipping and offshore markets gives our customers better and more robust solutions, along with a shorter way to reach their goal and maximum control over both projects and results.